I’m playing Detective Marcus (one half of the cast) from May 3 to May 19 in the hit off-B’way comedy MURDER FOR TWO at New World Stages! DEC 9-10, 2012 – MY LIFE IS A MUSICAL lab presentations! 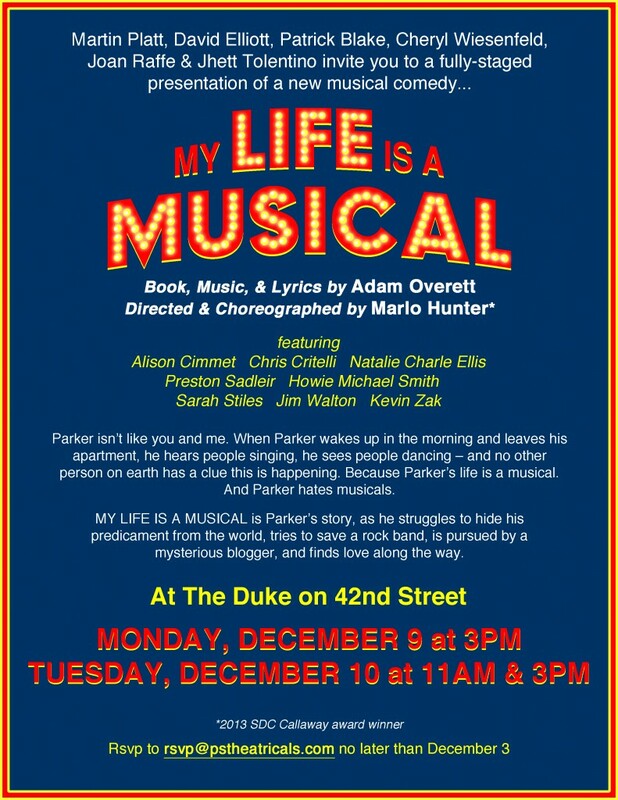 MY LIFE IS A MUSICAL gets its first developmental workshop production at the Duke on 42nd Street! The awesome hilarious show is back! Jeff Blumenkrantz and Brett Ryback as the Suspects and Detective Marcus — watch for me going on in the role of Marcus occasionally throughout the run! APR 8-9, 2013 – Encore presentations of MLIAM! Due to the overwhelming response to our SoHo Playhouse reading, director Marlo Hunter and I present our 90-minute staged reading of MY LIFE IS A MUSICAL, this time under the auspices of Tony-winning Perry Street Theatricals producers Martin Platt and David Elliott (SONYA VANYA MASHA AND SPIKE), to an invite-only industry audience! 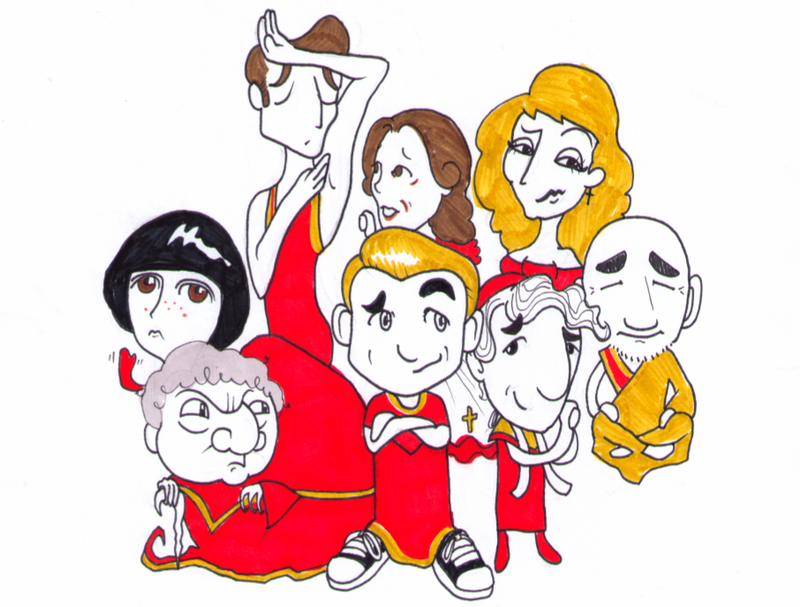 Cast includes Howie Michael Smith, Sarah Stiles, Justin Matthew Sargent, Natalie Charle Ellis, Jason Michael Snow, EJ Zimmerman and Matt Wolfe.